The book is 700 pages, and hard to read, so I don't recommend it: I will write about it, it will be as good as reading it. Not here, not now, I first want to finish it, I am 40% through. complete or sufficient amount of information. I consider myself reasonably astute, but the information that is contained in this book I read is sooo new to me, and it is so "world view altering" to me, it is like an earthquake: I will need to rebuild starting with the foundation. This is why I don't want to write more about it. I consider the information in the book raw material. I will need to ponder over it, verify it is true through thinking processes, and then, when I am sure how it fits into the truth I have been shown in my conversations with Source, I'll share it. In some ways it fits famously, and yet, the Jew in me bristles at the thought, lol, so back to reading, thinking, proving or disproving... the work never ends... lol. Your vibration number shows how accurately your picture of the world matches the reality of the world. The Powers that be do everything to keep you in the dark... whether the untruth comes from high up, or low... or your guru, or your healer, or your teacher, or books, or TV... you can count on an attractive mix of truth and untruth, and even for a seasoned veteran it is hard to pull myself out so it does not influence me. When you are under the influence, you can't think straight. It's taken me a week to pull myself up by my bootstraps and start watching the Heroes replays with the correct context: "What do I have to learn from this?" instead of "Oh my God" or "People are evil" or "How stupid can he/she be?" i.e. being involved, influenced, and behaving like driftwood on the river... banged around... unable to see context, unable to see what is really going on. 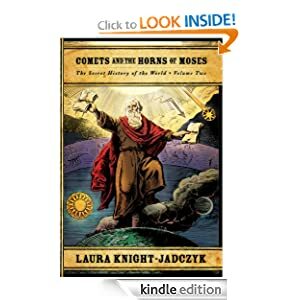 Laura Knight-Jadczyk is a historian and author of 14 books that span many disciplines including history, psychology, spirituality and politics. Underpinning all of Laura's work is a powerful drive to discover the Truth, whatever that Truth might be. In her unique approach to research, everything is challenged and no official 'truth', no official version of events, is too sacrosanct to be exempted from rigorous testing. As she pursues her goal to uncover the solutions to the problems of Humankind, it is her love and respect for the Truth that makes her a truly peerless researcher and author. Previous Previous post: Want to raise your vibration? Don’t keep your eyes on the scoreboard! Next Next post: Laura Knight-Jadczyk, cassiopaea, ouija board, channeling… Lions, Bears and Giants, Oh My!